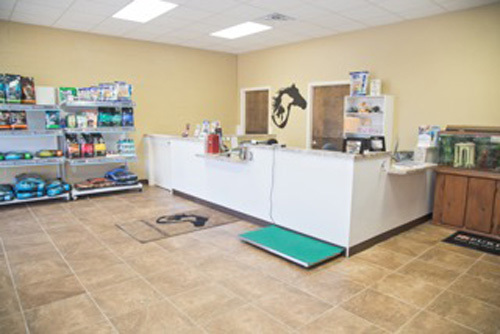 All Creatures Animal Care is a full-service veterinary clinic, serving the Monroe and West Monroe areas of Louisiana. Dr. Lauren Harper completed her undergraduate studies at Louisiana Tech, and received her Doctorate of Veterinary Medicine at Western University of Health Sciences in Pomona, California in 2008. 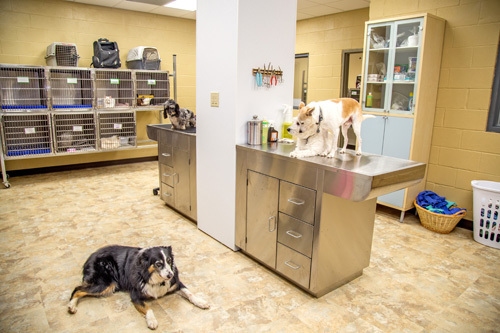 Dr. Harper is now home to serve the veterinary needs of North Louisiana. Dr. Harper and All Creatures treat both large and small animals. Dr. Harper and her team combine their compassion for animals with their years of experience in treatment to bring the best in veterinary medicine to your pet or large animal. Our hospital is fully-equipped with the latest in veterinary technology to care for the smallest reptile to the largest horse, and everything in between! All Creatures Animal Care provides care for not only the popular domestic animals such as cats and dogs, but also large animals, exotic pets, reptiles and all farm animals. All Creatures offers basic healthcare services for your pet as well as specialty services you will not find in many other clinics. Our basic services include animal boarding, grooming, microchipping, Wellness programs and nutritional counseling. Our animal clinic also strives to give its best in specialty services such as dermatology, immunotherapy, reproductive services and advanced surgical techniques.